I'm a little bit obsessed with midnight blue eye makeup. It's one of my favourite looks to rock over the winter months as it makes my green eyes stand out and is a grand change from a black smokey eye. I've got some new midnight blue products to show you and yes, I'm secretly delighted the evenings are getting darker because it means I can pile the makeup on and know that my dark eyes look even better in soft lighting! I think shades like this are a great way of incorporating a bit more colour into your look, especially if you're a bit scared of colourdy eye make up. Imagine rocking a neutral eye and then lining under your lower lashes with one of these beauts. Do it and watch the colour of your eyes stand out even more. Then come back here and leave me a comment saying "Karen, oh wise one, how come I've been scared of colour all these years and all I had to do was read your midnight blue post to know that I can do it. I am a strong, confident woman." Yes, I'm quoting Friends there. 10 points if you know where that's from. It broke my heart a little bit to mess up this midnight blue pot of perfection, but it had to be done and better on my eyes than in the pot eh? 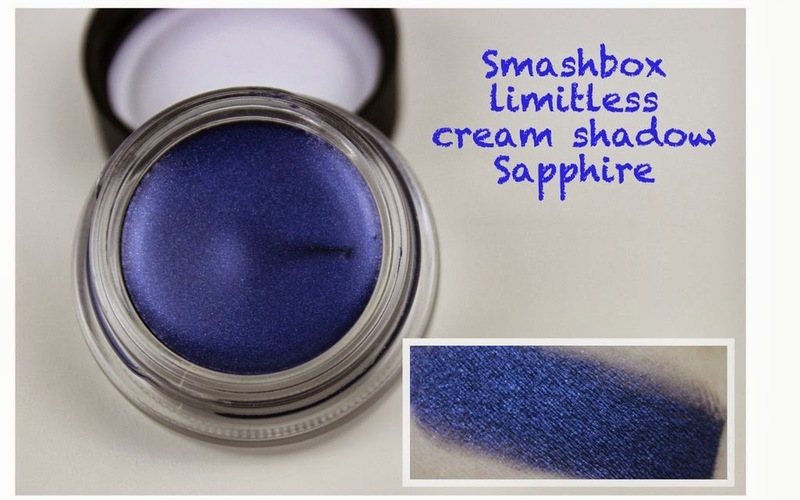 Smashbox's Limitless Cream Shadow in Sapphire (€19.00) is positively majestic in the pot isn't it? You can apply it as a wash of colour all over the lid, which does sheer it out a bit, but if you apply a second layer with your finger and pat the colour on, you get a more intense finish. Or you can apply a powder eyeshadow over it to set it and add more drama to your look. It's a product I like to use as a liner too, making it multifunctional, thus increasing the necessity for it. I don't make the rules. 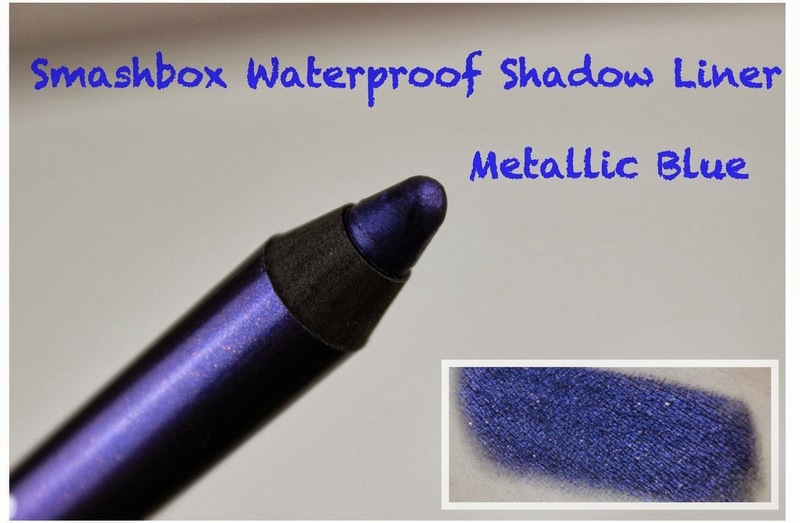 Finally we have Smashbox's Waterproof Shadow Liner in Metallic Blue (€19.00). 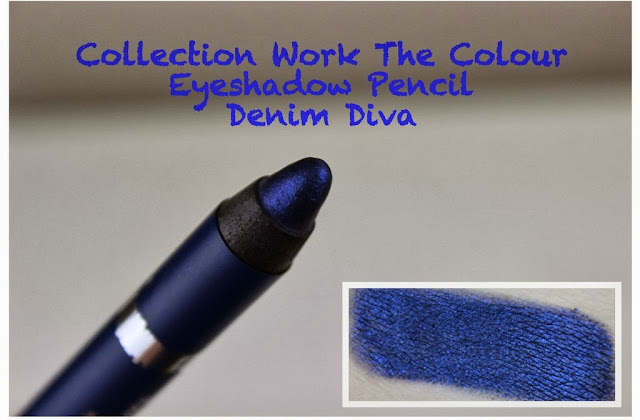 When I swatch this on it's own, it looks midnight blue, but against the other two products I've mentioned already, it leans slightly more purple. It has the teeniest amount of shimmer running through it which I'm obsessed with and I think it makes it look like a galaxy, far far away. I'm a huge fan of these shadow liners and they really do stay put once they set, so blend fast my dears, or else you'll have to start from scratch and ain't nobody got time for that. So tell moi, are you a fan of midnight blue eyes? What do I need to try next and add to my little blue family? Wow wow wow wow. NEED all of these! Also need an excuse to wear a midnight blue smokey eye. Cocktails anyone? Wow - just looking at the photograph of the Smashbox cream eyeshadow made me want to buy it! Pat day treat perhaps!